Last week, we found out that Jamie Moyer was shut down from the Dominican League because of his 2nd elbow injury since July. Many expect Moyer to retire, but he intends to pitch again, even if he needs Tommy John Surgery. I searched for Jamie Moyer Cubs? I wouldn’t bet against him and wholeheartedly hope he does come back. For many of us, he’s the last link to our childhood as fans. He’s been the oldest player in the leagues for years, since Julio Franco, I think. Jamie Moyer turned 48 this past Thursday. As hyperbole and exaggeration rule supreme, Moyer’s lore extends beyond 100 years, to the freewheeling days of deadballs and speakeasies. 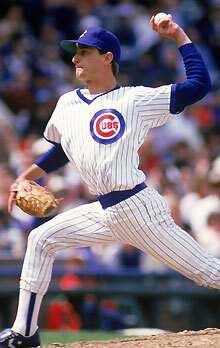 Personally, I remember not thinking much of Moyer when he was a below average starting pitcher for my beloved Cubs in 1986, ’87, and ’88. 58 homeruns as a Cub. The most memorable part of his game was, unfortunately, watching the way his weird looking jaw muscles moved while he smacked on his gum on the mound, awaiting the catcher’s signals. Even if he does eventually come back, it’s safe to say that Jamie Moyer will not be pitching for anyone on Opening Day. Presuming that Rickey Henderson and Julio Franco won’t return, we’re looking at a changing of the guard among elder statesmen of the game. Next in line has a chance to stick around for a few years because he also is a crafty pitcher who doesn’t rely on fastball velocity to make out: Tim Wakefield. Wakefield, born August 2, 1966, should have a nice run as Major League Baseball’s Senior Greybeard. He could be the next Charlie Hough, or something. 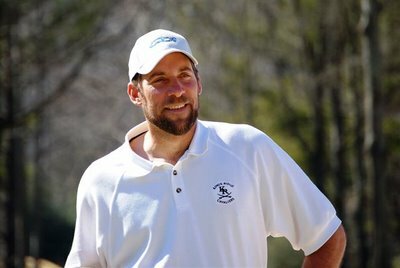 We could see a Smoltz comeback. Given today’s salaries and knuckleballer’s prepared conditioning and continued effectiveness, we expect the 44-year old Wakefield to at least equal Moyer and make it to his age 47 season. If not, wouldn’t it be fun, at least for future folklore, to have The Hammer of God as the oldest player in the game? Maybe the Yankees will overpay to keep him around a few years after he stinks.